It has been a couple of wild and crazy weeks around our house! I am looking forward to hopefully there being more springlike weather instead of the perpetual winter here in Utah! Spring and warmer weather always makes me think of picnics and how I can't wait to start spending more time outdoors! I am hoping that for my birthday later this month I will be getting a bike and trailer to take the kiddos on some long rides. Picnics, along with most everything else, make me think of treats and treats always make me think of chocolate! I have had my eyes on this brownie recipe for a while now and I have to tell you, I really think my search for Perfect Chocolate Brownies is finally over. 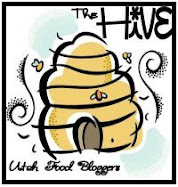 You can follow this link to find out more about the recipe and also to check out my new gig writing as the Salt Lake City Baking Examiner for Examiner.com! I am looking forward to really sharpening my writing skills and having another venue to talk about baking and all the local things I love! Thanks to Donna over at Spatulas, Corkscrews & Suitcases for telling me about Examiner.com in the first place! 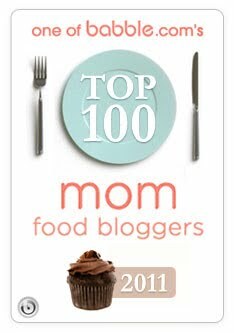 She is the top food writer for them and has some great articles on there as well! I also wanted to mention that there will be more chocolaty goodness this coming Tuesday for Tuesdays with Dorie. It was my turn to pick the recipe and I can't wait to tell you all about it! I will also be making another announcement, so I hope you check back in because it is an important one! Thanks to everyone for coming to read this blog and see what I've been up to! Congrats on the new writing gig! You are already pretty awesome at it! As far as the announcement... hmmmm, I think, but I'm not gonna say what I think yet! Hee! I love that I could totally tell that when it's your turn to choose a recipe, it's going to be chocolate ;) Congratulations on your new gig-- I wish you the best! The brownies look fab, by the way! Those brownies do look perfect! Congrats on the new gig! Your new writing assignment sounds like fun. I made the "Baked" brownies - and posted about them - back in February. TI agree that they're fabulous! What a wonderful post about The March of Dimes and how nice that it was also your blog's anniversary. The torte looks great and I'm delighted that you were happy with your pick (and also interested that you specifically chose a recipe that wasn't pictured). It's always such a pleasure to visit your blog. I can't wait to try these brownies. Congrats on your new job too! Oh and the cookies in Baked are good too! Try them! Congrats on the new position, these sure look like great brownies. I just wanted you to know that I skipped the TWD Bread Pudding this week and ended up making these Brownies after seeing the recipe on your blog last week....they.are.incredible!!! I knew my husband and I would eat them before the bread pudding...so I am skipping TWD, but did not skip a week of baking something new! These are officially our tip-top fave brownies. THANK YOU for sharing! Happy Belated Easter! These do indeed look perfect and I'll be giving them a go!